Stoney Pinch are industry leading experienced earthmoving contractors; we are also famous for our infrastructure, civil and heavy industry services. 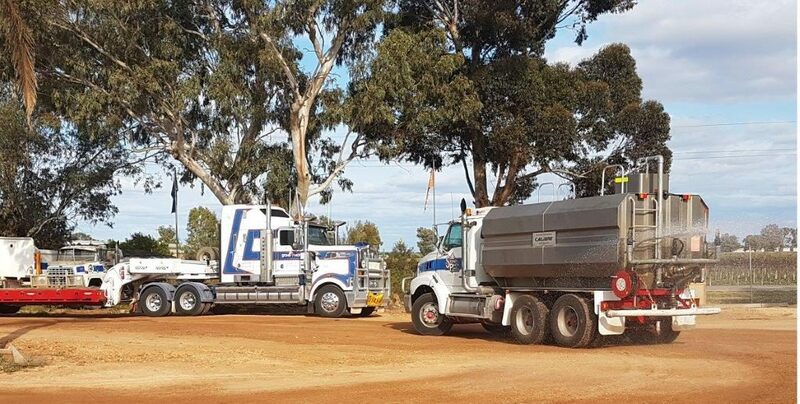 With an impeccable record of safe, professional and quality focused work synonymous with the Stoney Pinch name, we know we are the right team for your next earthworks or earthmoving project; whether its removing soil and debris from a new land development site or bulk haulage to make way for a new road, Stoney Pinch is the team for the job. Across the Adelaide and Riverland areas there is no better team for your project needs. The team at Stoney Pinch Earthmoving are highly skilled and trained innovators who are not only committed to the highest professional standards, we are also committed to improving our processes and being a positive influence on the industry. Our commitment to each project is one of the traits we are proud of as a team, we work together on each project to ensure that we meet and exceed your standards and that we do it safely. When you are considering earthworks contractors for hire, know that you are hiring a team of dedicated, experienced and passionate experts in the team at Stoney Pinch. Our mission is to finalise your project to the highest standards, on time, the first time – as standard. Earthworks and Earthmoving are cornerstones of any large construction projects and we are conscious that this crucial stage is usually one of the first in the process. We know that the earthworks stage is of vital importance and has a flow on effect to the rest of the project, which is why we take great care to make sure undertake our part in your project carefully and considerately to ensure we are as accurate as possible and can hand back a site ready to go for stage two. Our dedication to accuracy that ensures we not only run a safe site, but that we also provide a reliable service with impressive results. As part of our project process we anticipate risks, and our team are trained to observe the project at all times, on the lookout for risks to the project end game. We have among our team at Stoney Pinch decades of experience across our industry. We have provided services and advice to so many clients across the Adelaide region over the years, we are considered some of the leading experts in our field. We offer a range of services from bulk earthworks through to civil construction. Regardless of the size or type of project, we also have our own machinery, plant and equipment, setting us apart from the competition. We do not rely on subcontractors for plant and equipment which means we can provide a more accurate representation of our part in your project. Our machinery is not dictated by other projects or conflicting schedules, which gives us flexibility and allows us to work efficiently on your project. The combination of our skills, experience and dedication to perfection makes Stoney Pinch the only choice when it comes to hiring earthworks contractors for the Adelaide area. For your next project, consider Stoney Pinch for a project delivered on time, on budget and completed to the highest professional and safety standards.